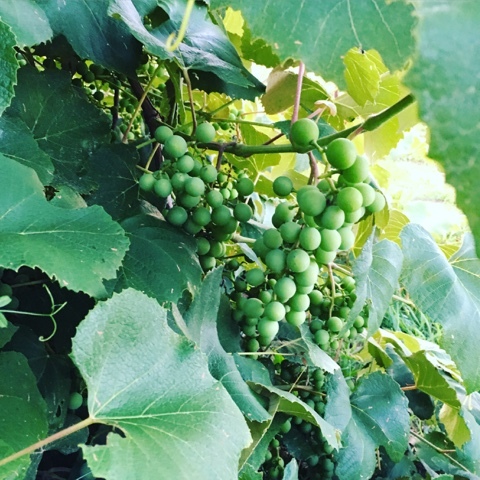 The grapevines are loaded with green, green grapes. They still have a while to ripen fully, but when they do; unless something happens between now and then,we should have a wonderful harvest and an abundance of grape juice and jelly to be made! 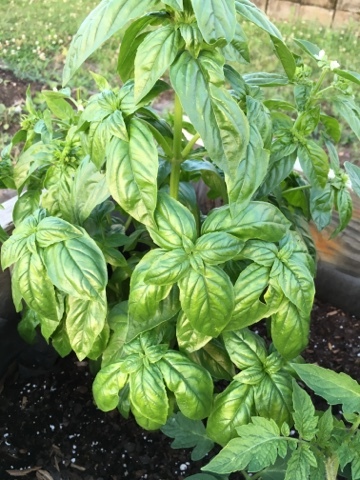 My basil has doubled overnight it might seem! I had to pick off a few flowers, because of the heat . I think it was tempted to begin to bolt because our weather has been SO hot and dry so soon. I want it to continue to grow and grow and hopefully we will have a nice bunch for our meals and maybe some to harvest and dry as well! 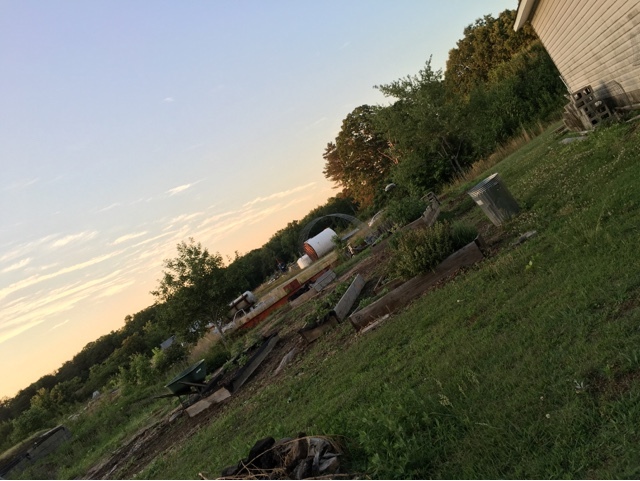 I told you that last week was kinda hard and the pits.. well, I didn't even want to get on the blog to update the garden. 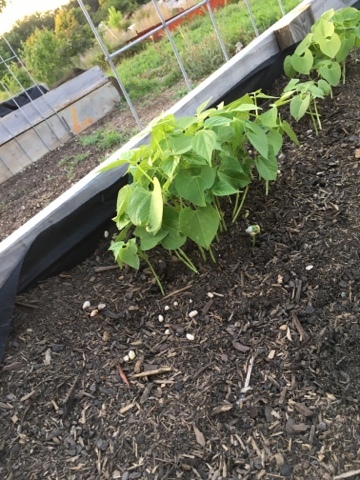 The green beans are up! 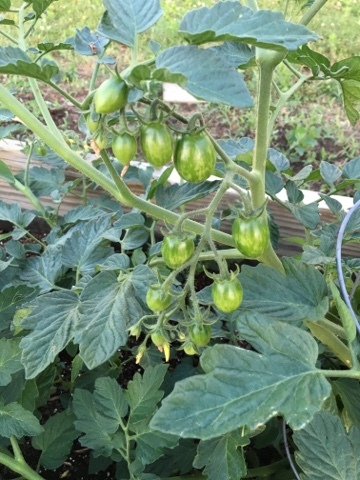 We planted them fairly thick because I was afraid they might not sprout being last years seeds and they were not stored properly. But, they have sprouted and sprouted well. We have a few that have been pushed to this side or the other because one or several of our 27 cats have been scratching around in the nice soft soil. Ugh. Anybody need a cat? They are excellent hunters! The color of the sky and the evening was so nice in this picture, there was no special filter and no editing... You can see that if you look around too much. But the garden in the evening and the morning is a great place to be. The mid-day? Eh, not so much. 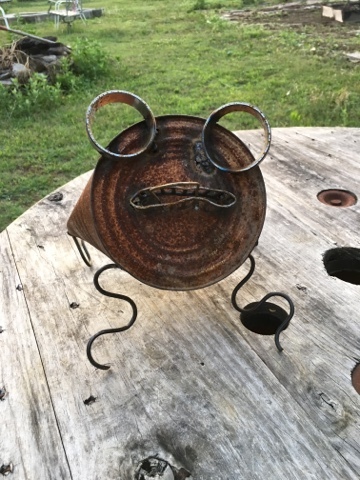 The South is HOT already this summer! Sheesh. May you be enjoying your days as well and happy gardening!